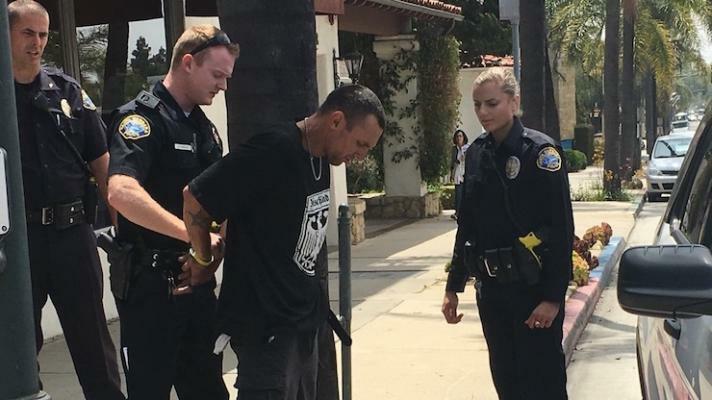 Santa Barbara Police are conducting a foot pursuit of a suspect on a black bicycle. They are heading south on State Street, bicyclist seen east on Arrellaga. The suspect has a warrant, a white male adult (WMA) at 5'11" tall. They got him...State and Micheltorena Near or at Bills Copy Shop. Subject most likely hiding in the area.